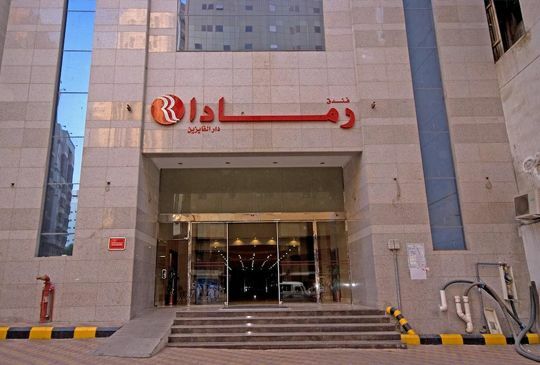 This relaxed hotel is a 10-minute walk from the 7th-century Masjid al-Haram mosque, surrounding the iconic Kaaba shrine, and 7 km from Makkah train station.The warm rooms with polished furnishings feature free Wi-Fi, flat-screen TVs and minibars. Suites add sitting areas.Parking is complimentary. Additional amenities include a casual restaurant and a meeting room. A 12-minute walk from Al-Masjid an-Nabawi mosque, this sprawling, upscale hotel is also a 7 km from Quba Mosque.The elegant, contemporary rooms offer free Wi-Fi, satellite TV, desks, marble bathrooms and minibars. Suites add separate living areas. Upgraded rooms and suites have views of Al-Masjid an-Nabawi. Butler service is available for a fee.Breakfast is available for a fee. Other amenities include an international restaurant, a business center and 2 meeting rooms. Hotel was really fantastic.Travel to haram has a brilliant team.